Over the last eighteen months, I’ve done a lot of interviewing and screening candidates for software engineering and project managements positions. I’d estimate that I’ve performed over fifty phone screens and interviews. In addition, I applied for a position as an R&D Manager in my department and was offered the position, despite several other excellent candidates. I believe my preparation for the interviews for the R&D Manager position is what set me apart. I spent many, many hours performing personal introspection of who I am, what my short and long-term goals am, and why I want the job. This was hard. Most people can’t stomach much of this personal introspection. It’s painful. It’s always easier to put off this self-examination until later and stumble through life like a Plinko chip falling down the board on The Price is Right. Plinko game on "The Price is Right"
Most people don’t know what they want to be when they grow up. That’s fine. You are not what you do (for a living). You should know who you are or at least periodically try to pull back another layer of the onion-personality living in your skull. Tim Ferriss in the 4-Hour Workweek says, “I believe that success can be measured by the number of uncomfortable conversations you’re willing to have.” The most uncomfortable conversation is the one you have with yourself about who you are and who you want to be. There’s no hiding. Lay it all out on the table. It will feel awesome when you’re done! I won’t say there are a lot of magic formulas for making this process easy, since it isn’t. I’ve used various blogs, magazine articles, websites, books and they each have their own merits. I haven’t tried the exercises yet in the 4-Hour Workweek, but they seem promising for figuring out who you want to be and what you want to do. For figuring out who you are, you may want to read The Seven Habit’s of Highly Effective People. This was the first book I read when I started going through this process several years ago. It was very difficult to get through the first time I tried, but I came back to the book and the principles from the book several times. There are other options. Do a little searching and you may find something more simple to get started. Who go through this painful process? It makes everything much more clear. When you have a decision to make, you can rely on your values and principles to guide you and your future vision of yourself acts as a lighthouse as you wind your way through the sea of life. For instance, when interviewing I felt really comfortable in my own skin. I could answer each question honestly with what I felt was truly reflective of me and how I would handle a situation or what I thought about a topic. I wasn’t searching to provide the answers the interviewers wanted. That didn’t matter. I wanted them to hire me, “The Real Me”, not a fake facsimile who’d be tortured by trying to impress them constantly. Either they wanted someone with my skills, experience, and personality or they didn’t. If they didn’t, someone else would. If you have skill and experience and add self-awareness, you will ratchet up your effectiveness. You will know what you can and can’t do well, what you’re willing to do, and what excites you. Following that triumvirate, particularly doing what excites you, leads to happiness. You don’t need an interview on the horizon to motivate you to go through this process. Think ahead twenty years. Where will you be? What will your life be like? 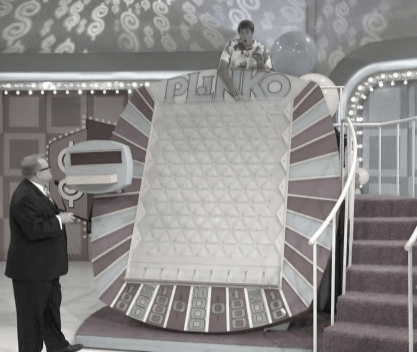 Just imagine your life like drifting aimlessly in random directions as your Plinko chip lands on a zero.